Bob Hill Jersey Blog: Independent Jersey Care Inquiry (9)--- "The Magnificent Seven"??????? 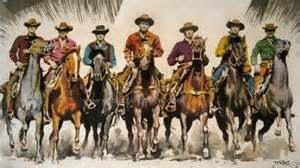 Independent Jersey Care Inquiry (9)--- "The Magnificent Seven"??????? The debate relating to the additional funding for the Committee of Inquiry was concluded yesterday with a resounding victory for Chief Minister Gorst. However his victory was sullied by the immature actions of five of his Ministers and two Assistant Ministers who let their personal feelings take precedence over those of the victims and the Island’s reputation. Deputy Tadier’s three amendments were as anticipated kicked into touch, however his concerns over the capping of funding and time schedule should not be ignored by the Chief Minister or the Committee of Inquiry. Due diligence must be given to the money paid to Lawyers and all expenditure in that area must be heavily scrutinised. As mentioned in my previous blog the need for legal assistance should not be taken as a licence to bill. All legal expenses must be justified and not just met because of who is making the claim. As with every debate there were some good, bad and hypercritical speeches and Senator Bailhache’s should not have been made. Senator Gorst’s opening speech was measured and he made some good points however I was hoping to hear that he was going to ask his Ministers to account for the £1.8m already spent on legal fees. Perhaps suitable words of advice had been given to his big spenders prior to the debate in exchange for their votes. Senator Bailhache as the Island’s former Solicitor and Attorney Generals, Bailiff and Deputy Bailiff should have had the nous to know that because of his past positions he is heavily conflicted so should have declared an interest and left the Chamber. He made it clear from the outset of his speech that he was going to abstain yet took the opportunity to attack those who questioned his past positions and openly proclaimed that he had nothing to fear from any scrutiny. To abstain fooled no one and was a clear vote of contre. It should be noted that the next issue the COI will be reviewing will be paragraph 13 of ifs Terms of Reference which is "Establish the process by which files were submitted by the States of Jersey Police to the prosecuting authorities for consideration, and establish –  Whether those responsible for deciding on which cases to prosecute took a professional approach;  Whether the process was free from political or other interference at any level. If, for these purposes, or as a result of evidence given under paragraph 7, in the opinion of the Chairman of the Committee, it would be of assistance that one or more of the prosecution files underpinning any prosecution decision may be examined in a manner to be determined by the Committee." Jersey does not have an Independent Crown Prosecution Service and the decision to prosecute rests with the Attorney General who apart from being the Advisor to the States is also the Titular Head of the Island's Honorary Police Force whose Centeniers have the sole right to Charge. For a lengthy period for the past 25 years Senator Bailhache and his brother William have held the position of Attorney General so presumably will be key witnesses when the COI addresses paragraph 13. William Bailhache who is now the Bailiff rightly stood down from chairing the debate because he recognised his conflict. Sadly his older brother did not. For Senator Bailhache to abstain was a vote against his Chief Minister, the victims and the Island of which he is its External Minister. One is entitled to ask whether Senator Bailhache’s behaviour in the Chamber renders him fit to represent the Island. The Senator also appears to have forgotten the support he received from Senator Gorst after denying he had read confidential documents on an aircraft. Deputy Tadier made an excellent speech; left no stone unturned and had the courage to challenge the actions of people holding key positions. 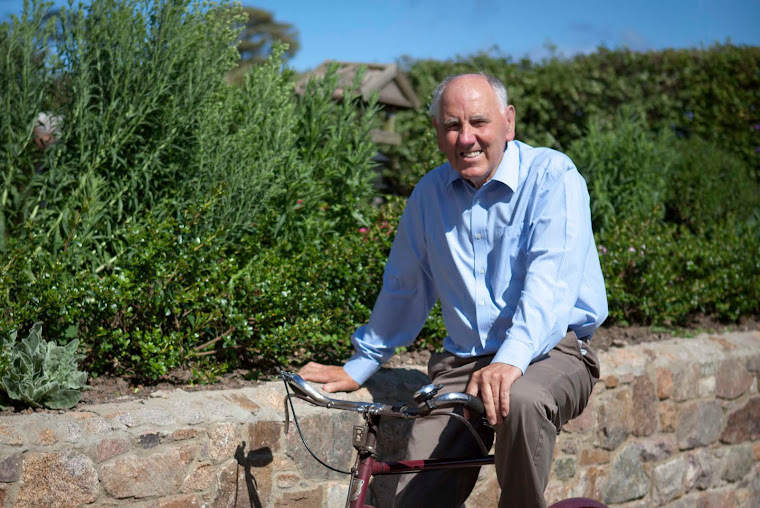 His comments about the burden Sark residents have to carry with the Barclay brothers and Jersey’s burden with the Bailhache brothers was illuminating. I did however wonder whether a similarity with the Krays brothers was to be included but perhaps that would have been unkind to Ronnie and Reggie. If Senator Gorst’s opening speech was measured it was surpassed by his closing speech in which it hit the nail bang on its head. He spoke of the cost and how difficult it was for anyone to hazard a guess as to what would be the final bill, but the States had made a commitment and it would have been far better not to have made a start at all than to stop before its completion on the grounds of cost. He spoke of the impact the stoppage would have on the victims who at last had a feeling that not only was someone listening to them but they are being believed. Do we not owe them the closure they deserve? The third point was of equal importance that being the Island’s reputation. How could we as an Island conclude an Inquiry because we claim not to have the funds? The repercussions world wide would be too horrendous to contemplate. The backlash would have far greater financial implications than the funds required for finishing the job. Senator Gorst’s closing speech was one befitting his status. Although to those listening it was pretty clear that he was heading for a handsome victory it was therefore disappointing that his pleas for unity and a unanimous vote were ignored by Ministers who did not have the humility to think of the bigger picture and of its impact on the victims and the Island. I defend their right to speak and to oppose, however when the time came for the vote it was obvious that they were in a tiny minority and it called for Statesmanship and to act in a manner befitting of high office but alas it was sadly lacking. The photographs of the “Magnificent Seven” are published below. Given their concerns over the impending costs I await their explanations regarding financial prudence particularly from Ministers Refault and Bryans as their Departments have already incurred in excess of £750,000 in legal fees. The Magnificent Seven ----Senator Bailhache, Connetable Refault of St Peter, Deputy Pinel, Deputy Bryans, Deputy Luce, Deputy Noel and Deputy Truscott can to seen below. Labels: Bailhache Brothers, Barclay Brother, Chief Minister Gorst, Deputy Luce, Deputy Noel, Deputy Pinel, Deputy Tadier, Deputy Truscott, John Refault, Senator Bailhache, The Krays, The Magnificent Seven. They are allowed to vote accordingly. What is your problem, is it that you hate democracy? I do not hate democracy and unlike you I am prepared to put my name in defence of it. Had you taken the trouble to read my Blog you would have noted that I respected Members right to speak and oppose the proposition. However, when it came to the vote it was obvious that the Proposition was going to be overwhelmingly supported. The Chief Minister rightly called for unity and a unanimous vote. Given that he had appointed the Ministers he was entitled to expect some loyalty and for them to put aside their personal feelings for the Island’s reputation. I frequently spoke against propositions and often said I was unhappy to support it, but for the good of the Island I would squeeze my nose and vote in favour. Then why name and picture them? It comes across as a name and shame post, when many concerns raised by those when went against the proposal about escalating costs were justifiable. All these bloggers going on about the vote on the COI whilst their Messiah Syvret won't even go near it. He's had so much to say on his blog for 8 years and when it comes to a chance to deliver all this evidence to a COI, just like some of his court actions, its another 'no show'. I don’t know why you think Stuart is the Blogger’s Messiah I don’t and I suspect that Stuart shares that view. I am disappointed at Stuart’s stance but that is his right. That said, how is it that Departments can incur £1.8m in legal fees yet deny people like Stuart. Somebody so vocal for so long, and making so many serious online claims, makes excuses not to give evidence when it matters, and he's had years to prepare his own submissions. I think its more about equity and due process... but I may be wrong. What I am confident in is that Stuart will have his reasons and he will be right about them. I wasn't aware that Stuart has ever claimed he was abused in states care! And so I wonder why people think he should have to give evidence? I suspect he has evidence of it and has spoken to those directly affected, and those people who were involved have already given their evidence, which would render Stuarts role obsolete. Why the obsession with something that is irrelevant? I don’t know! Ex Minister Syvret is a key witness on the abuse of power and HOW the abuse WAS COVERED UP. People who might happen to know a "Garry Sanders" should be aware that this comment was probably not made by a Garry Sanders. That these people have had the upper hand and the protection of Jersey's police and courts is chilling and deeply scandalous. If you care so much about abuse victims then why do you allow people to post links to people being abused online? Wow, Next time I should just post under "Anonymous" instead of my own name, if I get people saying "hello again". First time I have ever posted on Bobs blog. I thought the enquiry had seen people who have been abused. I was not aware that the enquiry had reached the point that they were looking into how that abuse was covered up. Now, using your words, "anyone of the slightest intellect would realise that exposing and understand this is key to preventing it happening again", but has the enquiry reached that position yet! Oh, and Im not that sick person Jon either. Im just myself, concerned that people are trying to shut down this enquiry which needs to continue. people with conflicts of interest who might, not naming anyone, refuse to step out of the states debate like their brother did! Those who voted against the proposition certainly don't care a damn about child abuse victims and don't care about Jersey's reputation. Thank you for sharing their names and faces with us Bob. They should be hanging their heads in shame. I am not sure if they should be hanging their heads is shame, but if they feel so strongly about the costs I hope they will join me and other Bloggers who have posted blogs requesting greater scrutiny and justification. If the costs are monitored and only met when justified there should be no need to come back for more money. Hi Bob , as one of the victims in this sorry saga, I can tell you that I was certainly concerned that there was talk the COI would be canned on account of cost. What some critics of the COI dont understand is how difficult it was for me to take the step to give statements to the police (several times I might add) . To then have to go through the ordeal of a court case. Then having to go through it all again for the COI. This turmoil for me has been going on since 2008. Thats 6 years constantly having to relive my past -something I had hoped never to revisit again. So those who point to the COI as being a waste of time should consider how they would feel if it were them. I suggest they take a look at their Children or grandchildren. Bear in mind I was in care for 18 years old and these abuses happened when I was 8. The suggestion from some parties that the COI should be canned is shameful after what Ive been through both during those 18 years in care and during the last 6 years reliving it all again. Thank you for sharing your experience with us. Sadly there are still a number of blinkered people who don’t want to believe stories such as yours. Fortunately yesterday, there were 35 who did. Thank you for your kind words, sadly I think you are being a little optimistic re a new breed of politics being ushered in as there are now too few States Members like Monty who are prepared to raise difficult matters. Not many Norman le Brocq's around unfortunately ! Which way did Andrew Lewis vote? I am told that he left the Chamber at the start of yesterday's Sitting without seeking leave to do so on the grounds that he was conflicted. Perhaps one of his constituents will ask him why he left. Rod Bryans the Education Minister voting against protecting children in the future! How sick is that? I listened to his speech and he spoke a lot of being powerless to stop the spending. If he feels inadequate then he should consider his position of Minister. His Department has already run up a bill of over £20k in legal costs and his former Education Chief has yet to appear at the Hearing. Education was one of the key Departments that had the care of children within its remit before many of its responsibilities were transferred to Health. As Minister he can at a stroke issue an order whereby no legal costs can be incurred without his authority, that way he would no longer be powerless to stop the spending. Well said, I only hope Connetable Refault as Assistant Minister of Health will be keeping a close eye on what his Department is spending and also looking into whether the time spent by Mr Jouault with Advocate Lacey is justified..
Andrew Lewis voted on Monty's amendment when he should have declared a conflict of interest because it was he who lied to the States when he stitched the Chief of police up! I do agree that the Chief Police Officer was stitched up. Do you agree he was stitched up by Andrew Lewis and his lies? I agree that Graham Power was stitched and that the statement made by Andrew Lewis in the debate is at odds with his statement to Wilts Police. I just have to say as a victim of HDLG. This inquiry has to be finished, we have had to re-live the most horrifying times of our lives as children for me 30 years ago. It is something you never forget, and when all I hear is some people saying "" Oh just get over it "" REALLY!!! I would love those people to have stood in my shoes for a day. What if it had been your daughter, son, granddaughter, grandson, you would want JUSTICE, which is all we want. And also people need to know the victims got paid pittance in compensation. So please stop telling us we only done this for the money. We just want the JUSTICE WE DESERVE NOTHING MORE NOTHING LESS. I hope the truth comes out about the way that bros and the other ones in power that have been covering up child abuse for years. I want to see a public apology made to Police Chief Power, Police officer Harper and ex-Senator Syvret for the way they were treated by the establishment and their friends. I don't think there is any chance of anyone receiving an apology. I have dug out a request I made in 2011 with a supplementary from Deputy Mike Higgins. the request and answers are below. The Napier Report has shown there is clear evidence of abuse of process by very senior civil servants and Ministers which led to the unfair suspension of the former Police Chief Officer. Over £1 million was spent to justify that suspension. Does the Chief Minister not think it appropriate to make a statement to explain what went wrong and what has been done about the process and indeed an apology be given to the former Police Chief Officer. Senator T.A. Le Sueur: I already indicated in answers last week that I have no intention of giving an apology to the former Police Chief Officer. £1 million was spent and the facts speak for themselves. The report has been produced and as far as I am concerned there is nothing further to add to it. Deputy M.R. Higgins of St. Helier: Does the Chief Minister not feel any regret for the way that he has handled this case? Had he or the Minister for Home Affairs at the time conducted a proper investigation before suspending the Chief Officer, we could have saved the £1 million that was subsequently spent and saved some of the cuts that are coming in the near months. Senator T.A. Le Sueur: I regret many things about the way the historic child abuse inquiry was conducted, in particular the activities of the Deputy Chief Officer of Police at that time. The fact we have had to spend significant sums of money is regrettable, but that is all that I have to say on the matter. I have no intention of doing anything further about it. Terry Le Sueur should be brought before the Committee Of Enquiry along with Ian Le Marquand and then they should both be sent to prison along with Andrew Lewis for what they did to the police chief. Pinel voted against the proposition? How can a woman involved with Brig y Don put money before the safety of children? Perhaps it because she is wearing a different hat now? Seems to me that money is the God,never mind the suffering of the victims! Will there be a contested election for Jurat from the "loony left?" Lord Reg seems to THINK SO!